The 40th annual MAPS Fossil Expo was held April 6-8 in Iowa City, Iowa. This is the world’s largest fossils-only show. Many vendors had material for sale, there were several nice displays, and quality presenters spoke on a variety of topics from extinction to trilobites. Going into each Expo, I hope to acquire a few nice fossils for the collection. And the show this year did not disappoint: there were many specimens that drew me in, though I somehow resisted buying all of them. Below are pictures of some newbies now in the collection. Figure 1. 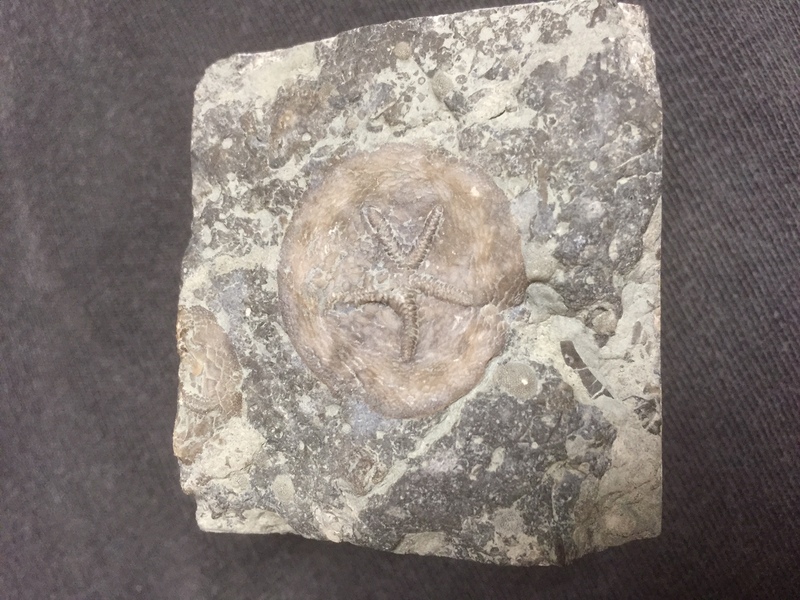 Cryptogoleus chapmani, edrioasteroid, Ordovician, Verulam Formation, Gamebridge, Ontario. 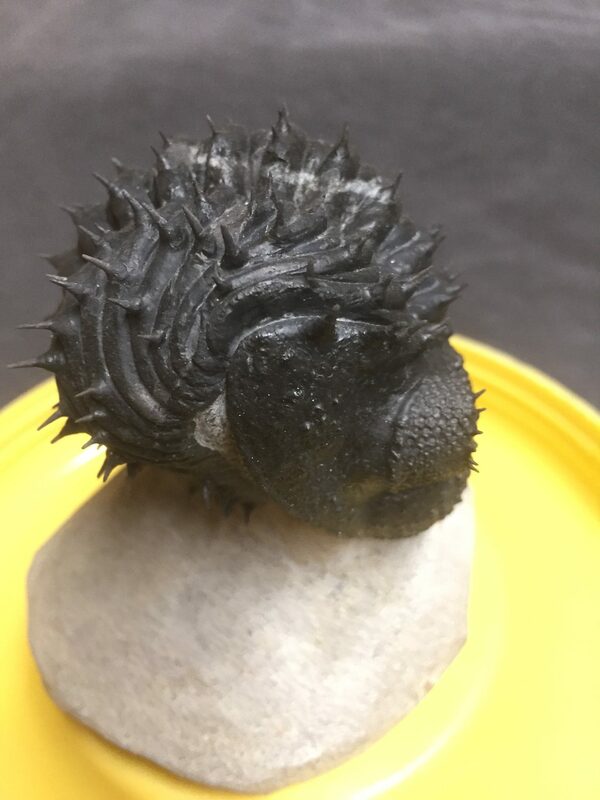 Specimen is 1 inch in diameter. Prepared by Joe Koniecki. Figure 2. 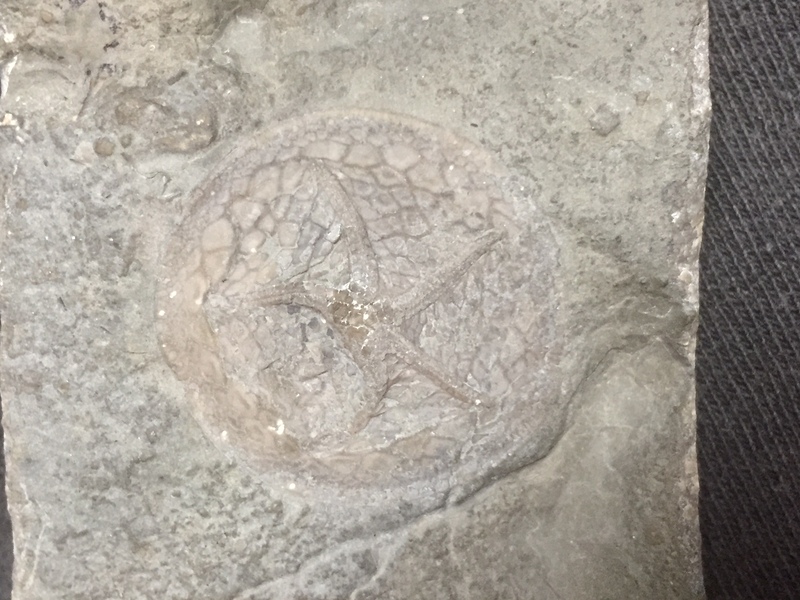 Isorophusella incondita, edrioasteroid, Ordovician, Bobcaygeon Formation, Brechin, Ontario. Specimen is 1 3/16 inches in diameter. Prepared by Joe Koniecki. Figure 3. 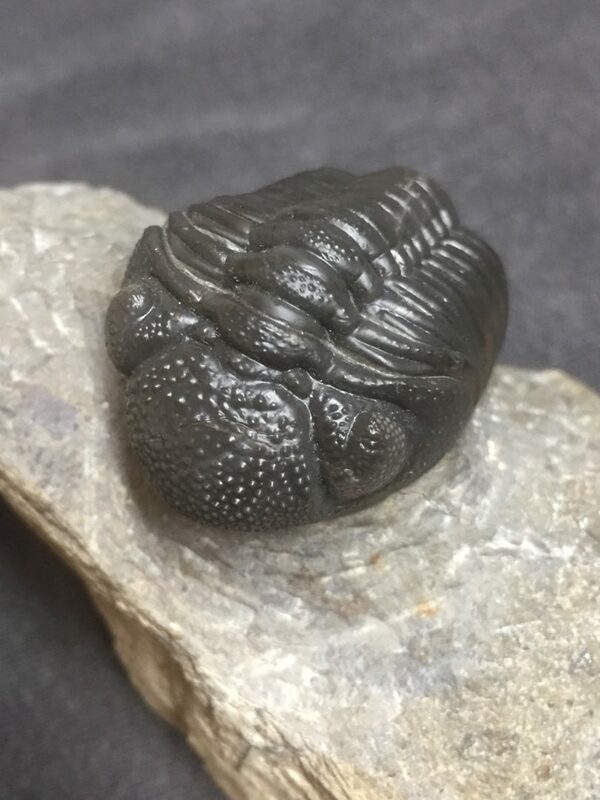 Phacops sp., trilobite, Middle Devonian, Alnif, Morocco. Specimen is 1.5 inches long. Prepared by Hassane M’Hamdi. Figure 4. 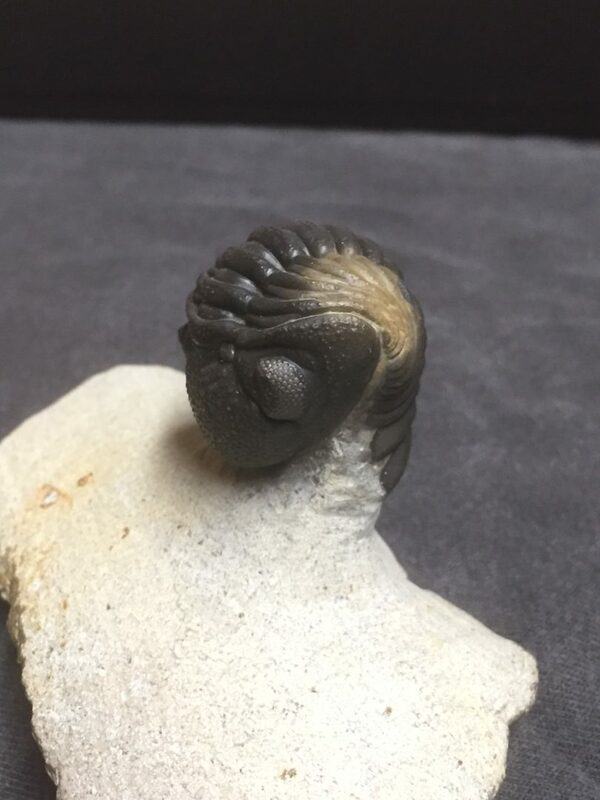 Phacops sp., trilobite, Middle Devonian, Jorf, Morocco. Specimen is 1 5/8 inches across. Prepared by Khalid Oumouhou. Figure 5. 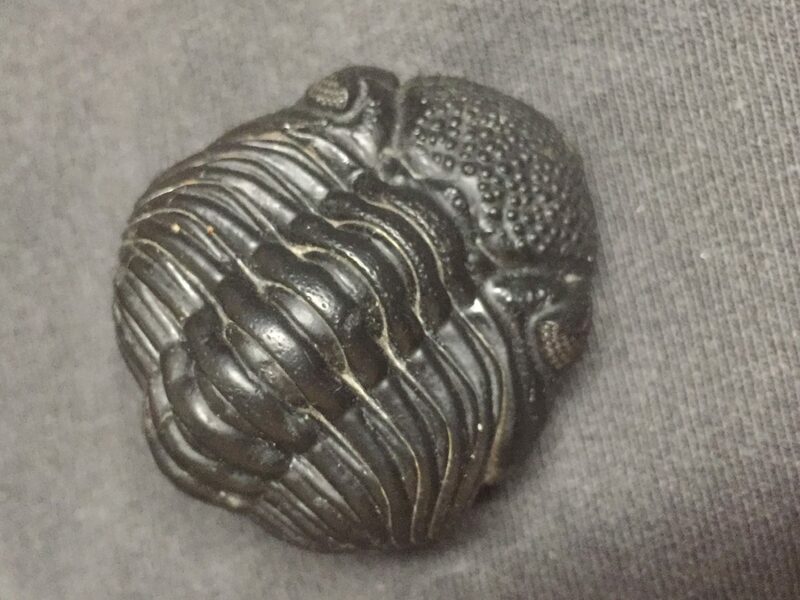 Phacops sp., trilobite, Middle Devonian, Alnif, Morocco. Specimen is 1 3/8 inches tall. Prepared by Hassane M’Hamdi. Figure 6. Drotops armatus, trilobite, Middle Devonian, Erfoud, Morocco. Specimen is 2.5 inches in diameter. Prepared by Hassane M’Hamdi. So, a very successful show. If you would like to learn more about MAPS (Mid-America Paleontology Society) and the show, go to their web site at www.midamericapaleo.org. And mark you calendar for the Expo in 2019 (March 29-31)!